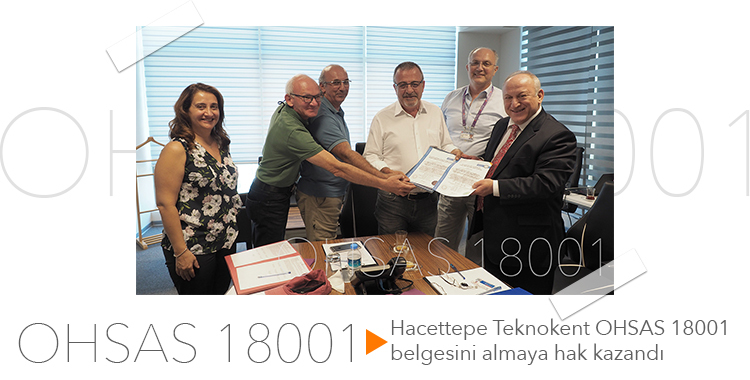 Hacettepe Teknokent, Inc. completed the OHSAS 18001 Occupational Health and Safety Management System evalution process, and was awarded an OHSAS 18001 certificate. Within this framework, we vow to protect our employees and ensure the highest level of business and workplace safety. All text, pictures and content on this web page is the property of Hacettepe Technokent and cannot be copied or reproduced without our expressed permission. 2019 © Hacettepe Technokent, Inc.